It’s been a long, harsh winter on the East coast, and I’m not talking about the polar vortex. I’m talking about the reign of LeBron James, the man who tormented the entire Eastern Conference for nearly a decade, freezing out every other East team from the NBA Finals like he was the Night King come to conquer Westeros. Once LeBron conquered the East with the Miami Heat in 2011, he reigned with a firm grip, taking every single team he was on to the Finals for eight-straight seasons. While the Dallas Mavericks, San Antonio Spurs and Golden State Warriors all bested James and co. more times than not in that span (Warriors won three titles, Spurs and Mavericks each secured one to James’ three), that provided no appeasement for the teams of the East. Now, with the King departed, off to try (and so far, fail) to conquer the lands of the West, there lies hope in the East. Even as the Warriors added DeMarcus Cousins – who has been surprisingly healthy and impressive quicker than anyone expected – a piece which they have never had, this trade deadline showed that a glimmer of hope is all the teams in the East needed to take their chance. For the first time in nine years, there will be a LeBron James-less champion of the Eastern Conference. 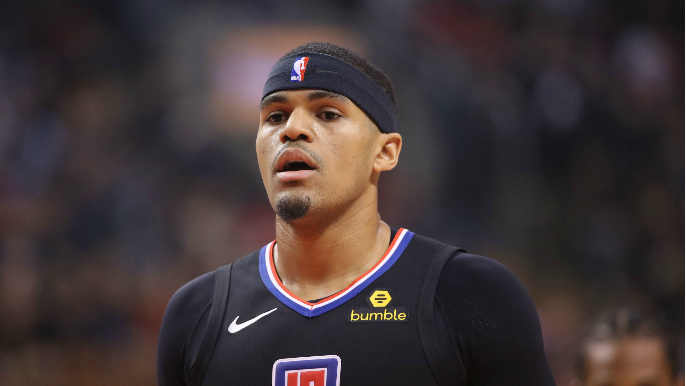 It’s why the Philadelphia 76ers traded away nearly half of their opening day roster to acquire Jimmy Butler and Tobias Harris. It’s why the Toronto Raptors moved in for Marc Gasol. It’s why the Milwaukee Bucks snatched Nikola Mirotic. It’s also why the Boston Celtics stood conspicuously pat. 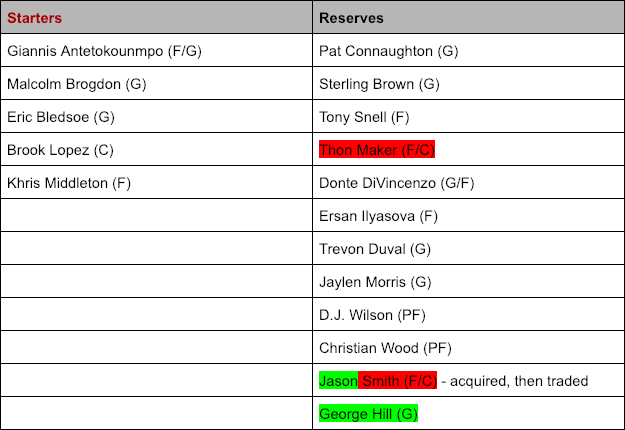 These trades (and the Celtics’ lack thereof), which are outlined and examined below, all set up the East’s top four teams for a run at the Finals, by adding another star or near-superstar talent which they lacked prior to the trade deadline (granted, the Indiana Pacers are above the 76ers in the standings, but it’s tough to imagine them holding their ground with Victor Oladipo out for the season). Again, this is setting these teams up to make the Finals. While no East team that makes the Finals (in a very likely matchup against the Warriors) will expect to lose, if that matchup is indeed versus the Warriors, they’ll be well-aware that the cards are stacked firmly against them. What I’m saying is, these moves are part of a larger picture that, while not ignoring this year as an opportunity to win a title, might be more about next season – when Kevin Durant, Klay Thompson, and/or DeMarcus Cousins might depart the Warriors. Realistically, the Warriors will keep Thompson, and they may well keep Durant (I wouldn’t suggest asking him about it, though). More than likely, Cousins will be gone. But just the possibility that the Warriors might lose one or two of their big five is more than enough for teams to gear up to challenge them. First, let’s look at the moves each of the East teams made. 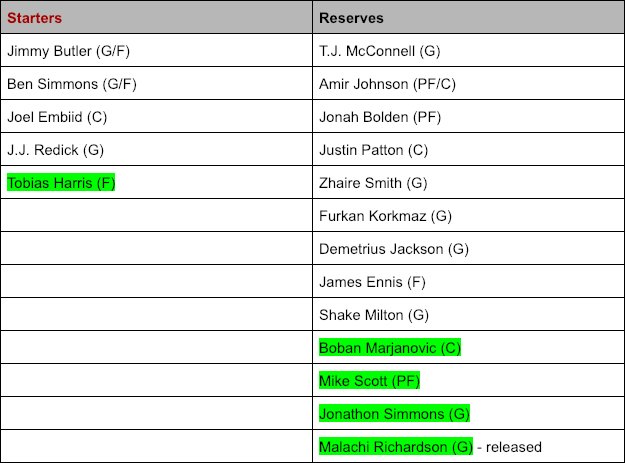 Players highlighted in green have been acquired by trade. 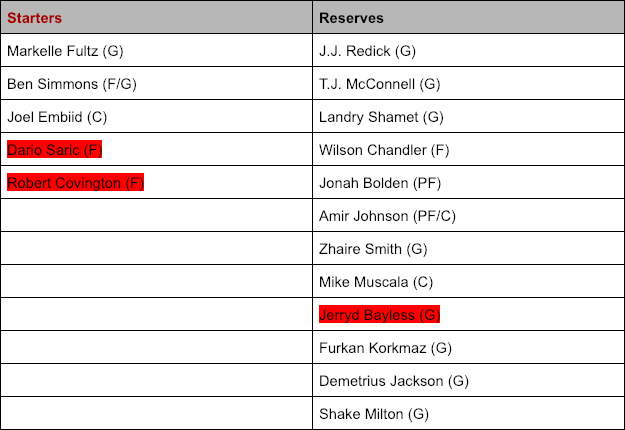 Players in red were traded later in the following trade or trades. The only trade the Boston Celtics made wasn’t meaningless, but it will have zero effect on their Finals hopes. Boston moved Jabari Bird and cash for a top-55 protected 2nd round pick from the Atlanta Hawks. 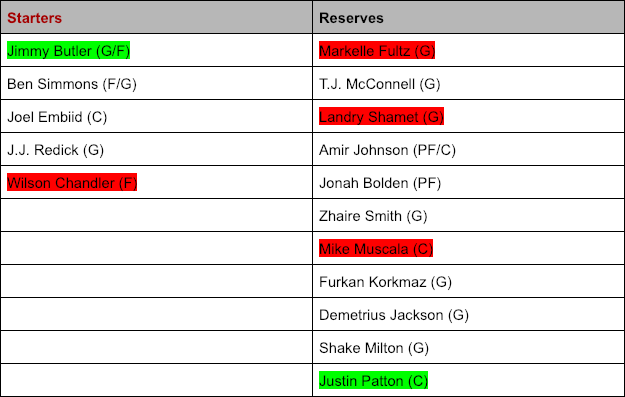 Here’s what all those trades (or lack of them) mean for each team. 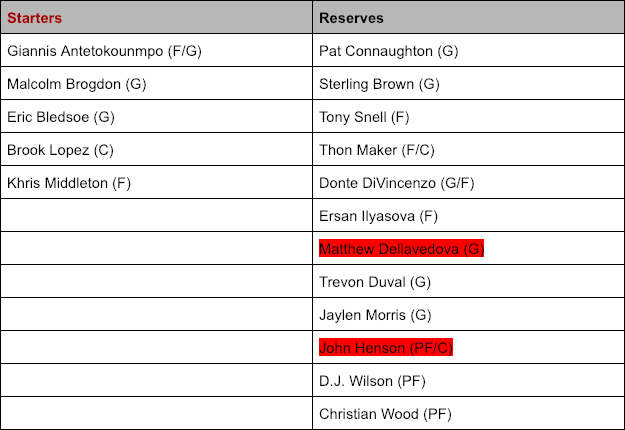 The Sixers have set themselves up to re-sign both Butler and/or Harris (depending on how it works having a starting lineup with four players who all need the ball in their hands), who will both become free agents this summer. They can go over the salary cap as much as they need to sign both. Both Butler and Harris are eligible for a five-year, roughly $188 million contract starting at $32.7 million per year. No other team can offer Butler or Harris more than four years for roughly $140 million. 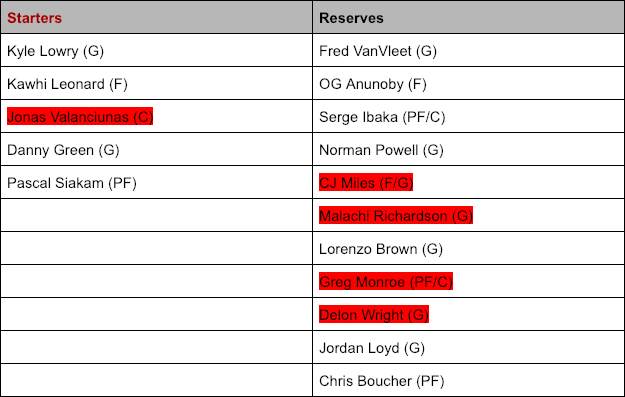 If Butler and Harris both re-sign this summer for the max or near-max deals, this Sixers core will soon become super expensive. 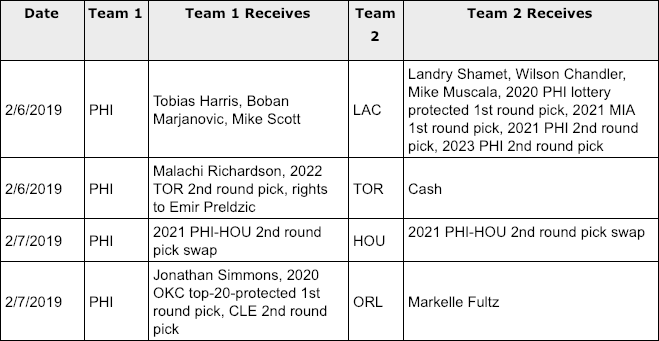 In 2020-21 the cap is projected as $118 million, and Butler, Harris, Embiid, and Simmons alone could cost up to around $130 million. Massive investment. Meanwhile, the Raptors acquired Marc Gasol (who has a $25.6 million player option next season), and traded a pair of second-round draft picks for cash considerations. It adds a front court star for the Raptors in a move that’s likely intended to signal to pending free agent Kawhi Leonard that the Raptors are serious about challenging for a title. Leonard, like Butler and Harris, is eligible for a five-year, roughly $188 million extension from the Raptors this summer, and a four-year, $140 million contract elsewhere. Leonard could also decide to take a LeBron James and Kevin Durant-like 1+1 deal with a player option or similar short-term deal, and set himself up to be a free agent in 2021, when, with 10 years of NBA service time, he’d be eligible for an extension worth 35 percent of the NBA cap. The point of this is to say, the Raptors want to prove to Leonard that he should stay, and that they’re likely willing to give him any contract he wants. The Bucks’ situation is a little bit different. They acquired George Hill, who is due $18 million next season, but only has $2 million guaranteed, meaning they can cut him and only pay that minimum. Khris Middleton will be a free agent, but the Bucks own his bird rights and can exceed the cap. But, if they want to target a star free agent and offer them the max, they’d have to offer Middleton his contract after signing that free ganet. 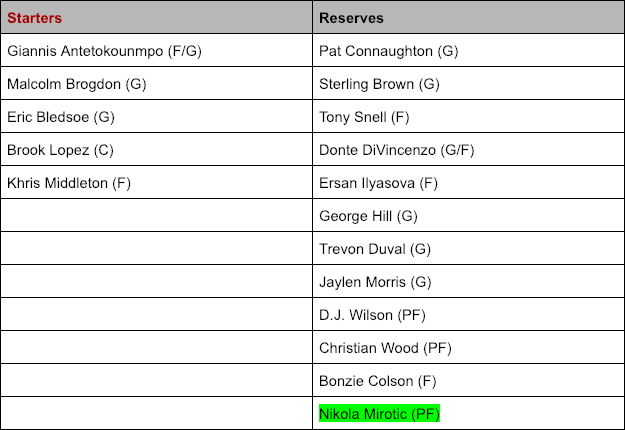 Their move to bring in Mirotic gives them a fantastic additional piece to challenge for the Finals, and potentially prove to a prospective free agent that it’s worth coming to the cold, Midwestern small market of Milwaukee and team up with Giannis Antetokounmpo. The Celtics’ reason for standing firm at the deadline is clear; they likely want to trade for Anthony Davis (whether he or his father want to go to Boston or not). They have a glut of draft picks and young, valuable players, and are hoping to keep Kyrie Irving. Due to NBA rules, they can only trade for Davis after they renegotiate Irving’s contract (or Irving leaves), which would happen this summer. It would give Boston the top-tier Nash-Dirk-like pairing that any NBA front office dreams of acquiring. Like everyone else, they’ll hope that with a healthy Irving and no James in their way, they can win one more playoff game than last season and reach the Finals. This is all a long-winded way of saying that these East teams are gearing up for this summer, hoping to keep the expiring stars they have and potentially lure others. While they may well challenge the Warriors in the Finals, their sights are set on next year and the years to follow.